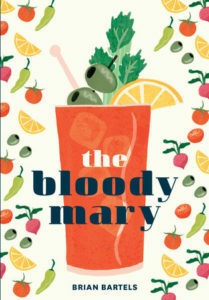 Ten Speed Press authors Jim Meehan and Thad Vogler are winners of the 2018 Tales of the Cocktail Spirited Awards in both book-related categories. 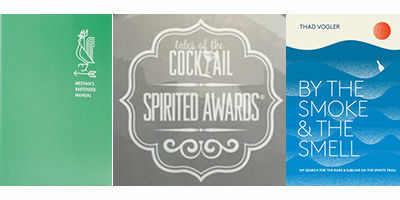 The recipients of the 12th Annual Spirited Awards, considered the most prestigious accolades in the spirits world, were announced Saturday evening at the annual Tales of the Cocktail Festival in New Orleans. 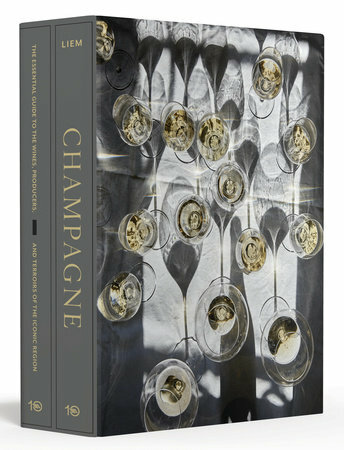 Jim Meehan received the Best New Cocktail or Bartending Book award for his book, MEEHAN'S BARTENDER MANUAL. 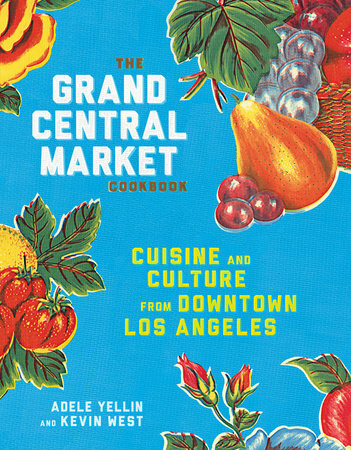 Thad Vogler was named the recipient of the Best New Book on Drinks Culture, History or Spirits for his book, BY THE SMOKE AND THE SMELL. 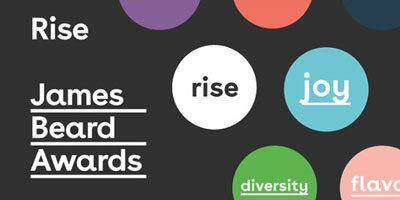 Ten Speed is the publisher of 4 of the 8 finalists in these two categories. 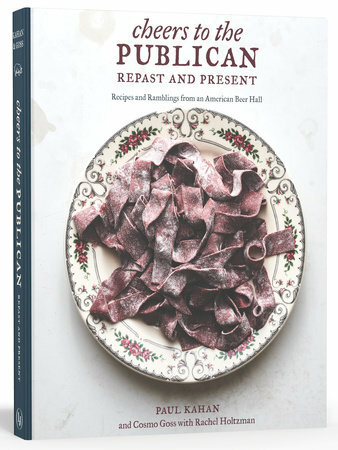 Congratulations to Mr. Meehan and Mr. Vogler as well as their editors, publishers and everyone at Ten Speed Press. The Tales of the Cocktail is a non-profit organization that educates, advances, and supports the global hospitality industry, and hosts the world’s premier cocktail festival annually in New Orleans. The Spirited Awards honor the world’s top bars, bartenders, writers, and cocktail experts. COOKBOOK Beverage MEEHAN’S BARTENDER MANUAL by Jim Meehan (Ten Speed Press) International NOPALITO by Gonzalo Guzman and Stacy Adimando (Ten Speed Press) Reference, History, and Scholarship CHAMPAGNE by Peter Liem (Ten Speed Press) Single Subject THE PHO COOKBOOK by Andrea Nguyen (Ten Speed Press) BROADCAST MEDIA Television Program, in Studio or Fixed Location “Barefoot Contessa: Cook Like a Pro,” Ina Garten, Food Network (Garten’s upcoming Clarkson Potter book, COOK LIKE A PRO, will be published 10/23/18) JOURNALISM Innovative Storytelling Melissa Clark, “The New Essentials of French Cooking,” The New York Times (Author of DINNER: Changing the Game, Clarkson Potter) Congratulations to all of our prize-winning authors, as well as their editors and publishers. 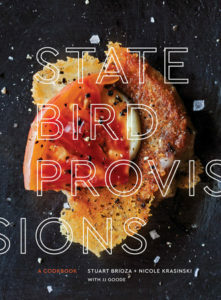 View the complete list of James Beard Foundation 2018 Cookbook, Journalism, and Broadcast Media Awards winners here. 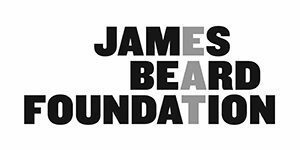 Winners of the 2018 James Beard Foundation Restaurant & Chef Awards (Ten Speed Press, Lorena Jones Books and Clarkson Potter authors/chefs/restaurateurs have 17 nominations among them) will be announced at a ceremony in Chicago on May 7. 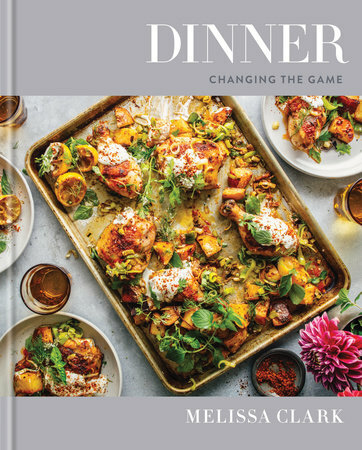 The James Beard Foundation has announced the finalists for its 2018 Cookbook, Journalism, Broadcast Media, and Restaurant & Chef Awards. 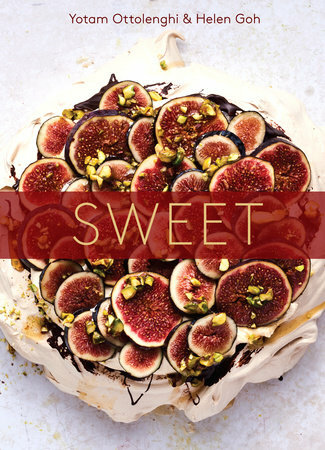 Among the finalists are a fleet of our authors and books published by Penguin Random House imprints Clarkson Potter, Ten Speed Press, and Pam Krauss Books, as well as Taste . 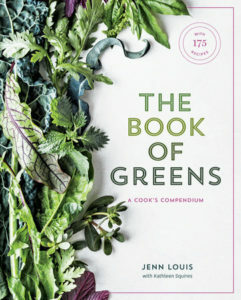 The winners of the Cookbook and Media awards will be announced in New York on April 27, and the Chef awards will be announced in Chicago on May 7. Click here to view the complete list of nominees. 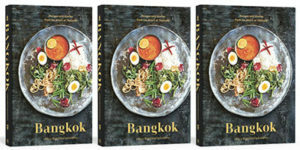 Ten Speed Press is pleased to announce that the prestigious Art of Eating Prize for Best Food Book of 2018 has been awarded to Leela Punyaratabandhu for BANGKOK: Recipes and Stories from the Heart of Thailand Leela receives a $10,000 prize and a specially crafted hand-wrought ladle, a beautiful emblem of the prize. The Art of Eating Prize is awarded annually to the author of the year’s best book about food (or food and drink together). 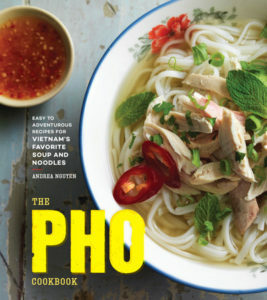 Where other food book awards involve nominations in many categories, The Art of Eating Prize focuses on a single best book. The founders of the prize, by rewarding the highest quality work, hope to encourage the excellence of food writing in general. 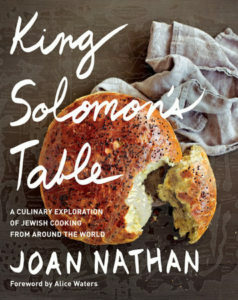 The winner is decided by a panel of judges drawn from varied realms connected with food and drink. The seven judges are Eric Asimov, Lisa Abend, J. Kenji Lopez-Alt, Peter Meehan, Pim Techamuanvivit, Adam Sachs, and Frank Stitt. 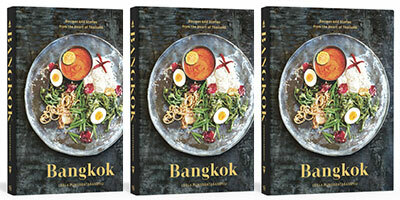 Congratulations to Ms. Punyaratabandhu and everyone at Ten Speed Press. Our 8 IACP 2018 Award winners include books and authors from Crown Publishing Group imprints Clarkson Potter, Ten Speed Press and Lorena Jones Books, as well as Alfred A. Knopf. 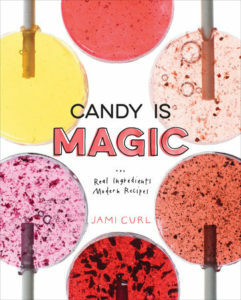 Cookbooks Baking CANDY IS MAGIC: Real Ingredients, Modern Recipes by Jami Curl (Ten Speed Press) Chefs & Restaurants CHEERS TO THE PUBLICAN, REPAST AND PRESENT: Recipes and Ramblings from an American Beer Hall by Paul Kahan with Rachel Holtzman (Lorena Jones Books) Health & Special Diet THE BOOK OF GREENS: A Cook's Compendium of 40 Varieties, from Arugula to Watercress, with More than 175 Recipes by Jenn Louis; Kathleen Squires (Ten Speed Press) International KING SOLOMON'S TABLE: A Culinary Exploration of Jewish Cooking from Around the World by Joan Nathan (Alfred A. Knopf) Reference & Technical PEPPERS OF THE AMERICAS: The Remarkable Capsicums That Forever Changed Flavor by Maricel E. Presilla (Lorena Jones Books) Single Subject HELLO, MY NAME IS ICE CREAM: The Art and Science of the Scoop by Dana Cree (Clarkson Potter) Wine, Beer & Spirits CHAMPAGNE: The Essential Guide to the Wines, Producers, and Terroirs of the Iconic Region by Peter Liem (Ten Speed Press) Beverage-Focused Column Jon Bonné “Jon Bonné on Wine” PUNCH View the complete list of award winners here. 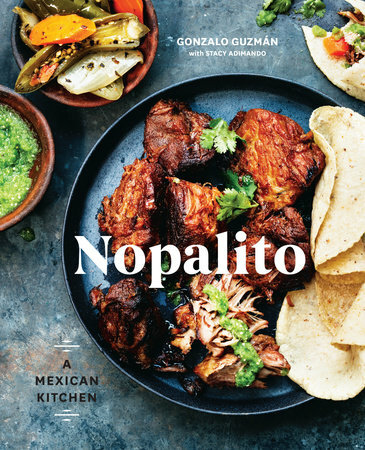 The International Association of Culinary Professionals announced the finalists for its 2018 Awards, recognizing the very best food writing and publishing of the year, from cookbooks and journalism to photography and digital media. 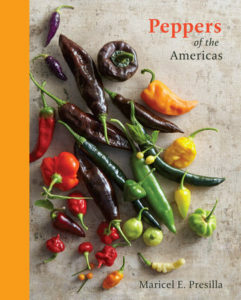 We received 23 nominations for books, authors and editors from Crown Publishing Group imprints Clarkson Potter, Ten Speed Press and Lorena Jones Books, as well as Alfred A. Knopf and America’s Test Kitchen (a PRHPS publisher client). 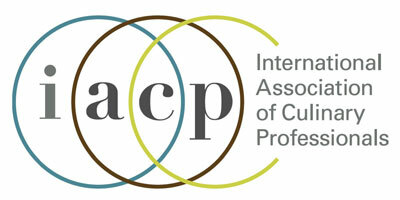 The winners will be selected at the annual IACP conference on February 25 in New York. Our IACP 2018 Awards finalists: Cookbooks Baking CANDY IS MAGIC: Real Ingredients, Modern Recipes by Jami Curl (Ten Speed Press) SWEET: Desserts from London's Ottolenghi by Yotam Ottolenghi and Helen Goh (Ten Speed Press) Chefs & Restaurants CHEERS TO THE PUBLICAN, REPAST AND PRESENT: Recipes and Ramblings from an American Beer Hall by Paul Kahan with Rachel Holtzman (Lorena Jones Books) Compilations CHERRY BOMBE: The Cookbook by Kerry Diamond; Claudia Wu (Clarkson Potter) THE GRAND CENTRAL MARKET COOKBOOK: Cuisine and Culture from Downtown Los Angeles by Adele Yellin; Kevin West (Clarkson Potter) Culinary Travel KING SOLOMON"S TABLE: A Culinary Exploration of Jewish Cooking from Around the World by Joan Nathan (Alfred A. Knopf) Julia Child First Book Award BREAD TOAST CRUMBS: Recipes for No-Knead Loaves & Meals to Savor Every Slice by Alexandra Stafford with Elizabeth Lowery (Clarkson Potter) General DINNER: Changing the Game by Melissa Clark (Clarkson Potter) Health & Special Diet THE BOOK OF GREENS: A Cook's Compendium of 40 Varieties, from Arugula to Watercress, with More than 175 Recipes by Jenn Louis; Kathleen Squires (Ten Speed Press) VEGAN FOR EVERYBODY: Foolproof Plant-Based Recipes for Breakfast, Lunch, Dinner, and In-Between by The Editors at America's Test Kitchen (America's Test Kitchen, PRHPS Client Publisher) International KING SOLOMON'S TABLE: A Culinary Exploration of Jewish Cooking from Around the World by Joan Nathan (Alfred A. Knopf) NOPALITO: A Mexican Kitchen by Gonzalo Guzmán with Stacy Adimando (Ten Speed Press) Reference & Technical PEPPERS OF THE AMERICAS: The Remarkable Capsicums That Forever Changed Flavor by Maricel E. Presilla (Lorena Jones Books) Single Subject HELLO, MY NAME IS ICE CREAM: The Art and Science of the Scoop by Dana Cree (Clarkson Potter) THE PHO COOKBOOK: Easy to Adventurous Recipes for Vietnam's Favorite Soup and Noodles by Andrea Nguyen (Ten Speed Press) Wine, Beer & Spirits THE BLOODY MARY: The Lore and Legend of a Cocktail Classic, with Recipes for Brunch and Beyond by Brian Bartels (Ten Speed Press) CHAMPAGNE: The Essential Guide to the Wines, Producers, and Terroirs of the Iconic Region by Peter Liem (Ten Speed Press) MEEHAN'S BARTENDER MANUAL by Jim Meehan (Ten Speed Press) Beverage-Focused Column Jon Bonné “Jon Bonné on Wine” PUNCH Food-Focused Column Scott Hocker “A Kitchen in New Orleans” TASTE Narrative Beverage Writing Garrett Snyder “How an LA Bar Built One of the World’s Greatest Stockpiles of Rare Spirits” PUNCH March 28, 2017 Culinary Travel Writing Francis Lam “In Good Hands” AFAR May/June 2017 Podcast or Radio Show The Splendid Table, American Public Media The Splendid Table Host, Francis Lam View the complete list of finalists here. Capitol Hill veteran and New York Times bestselling author Bruce Bartlett will discuss THE TRUTH MATTERS (Ten Speed Press), his clear and concise handbook on distinguishing fake news from reliable journalism, at Washington, D.C.’s Politics and Prose bookstore on January 2, beginning at 7:00 pm, followed by a book signing. Today’s media and political landscapes are littered with untrustworthy sources and the dangerous concept of “fake news.” This accessible guide helps you fight this deeply troubling trend and ensure that truth is not a permanent casualty. THE TRUTH MATTERS presents actionable tips and tricks for reading critically, judging sources, using fact-checking sites, avoiding confirmation bias, identifying trustworthy experts, and more. 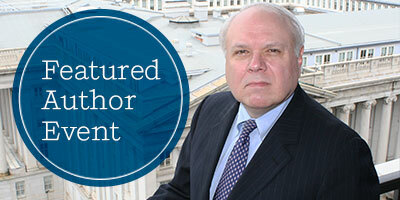 David Cay Johnston, Pulitzer Prize-winning journalist, praises Bartlett and his book, “What is truth? That ancient question looms large in our era, full of accusations of fake news. 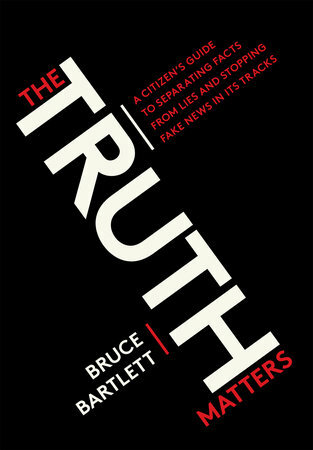 Bruce Bartlett’s clear and concise guide reveals how to distinguish reliable journalism from reports riddled with errors, lies, and nonsense. 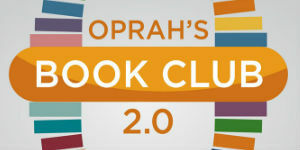 Best of all, Bartlett’s manual is so accessible and direct that anyone will benefit from reading it, from high school students to casual news consumers to professional journalists.” Mr. Bartlett’s experience ranges from serving as Senior Policy Analyst in the Reagan administration to holding the position of Deputy Assistant Secretary for Economic Policy at the Treasury Department in the Bush 41 White House. 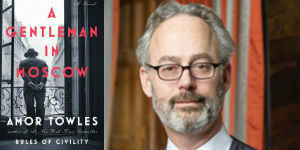 He has also authored a column for Forbes and has written for the Economix blog of the New York Times. many never before seen—along with personal reflections and stories from Ms. Lucidon, the Official White House Photographer from 2013 to 2017, the only female photographer during her time in the Obama White House. North American print and digital rights to CHASING LIGHT, scheduled to be published on October 17, 2017, were acquired by Ten Speed Press Editor Kaitlin Ketchum from Rachel Vogel at Waxman Leavell Literary Agency. Michelle Obama is one of the most admired First Ladies in our country’s history, known for her grace, spirit, and beauty, as well as for the amazing work she did during her tenure to promote girls’ education, combat childhood obesity, and support military families. 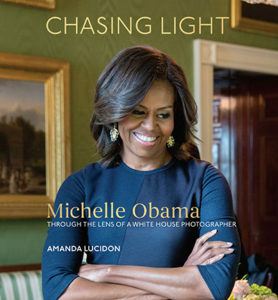 In CHASING LIGHT, Ms. Lucidon shares a rare insider’s perspective, from documenting life at the White House to covering domestic and overseas travel. 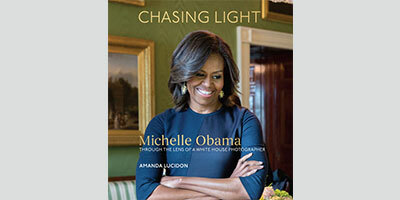 [caption id="attachment_7102" align="alignright" width="278"] Cover image by Amanda Lucidon, Copyright © 2017[/caption] CHASING LIGHT is a candid celebration of Michelle Obama. As one of the White House photographers responsible for documenting the First Family, Amanda spent four years traveling to twenty countries. During this time, Mrs. Obama became a role model to Amanda, who has since been inspired to share her own life story when she speaks with students about the power of art, education, and mentorship. “Mrs. 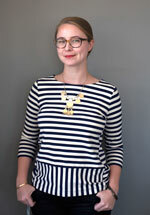 Obama is a source of light and inspiration in my life,” says Amanda. “She was a mentor to me and so many people around the world. The work she has done with young people, especially girls and underserved youth, has helped me realize that I want to spend my life helping others reach their fullest potential.”CHASING LIGHT is a candid celebration of Michelle Obama. As one of the White House photographers responsible for documenting the First Family, Amanda spent four years traveling to twenty countries. 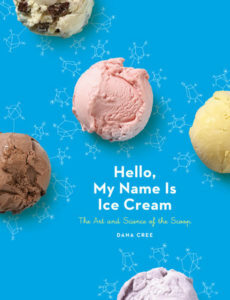 During this time, Mrs. Obama became a role model to Amanda, who has since been inspired to share her own life story when she speaks with students about the power of art, education, and mentorship. Amanda Lucidon is an award-winning documentarian, filmmaker, and former freelance New York Times photographer who served as one of the White House photographers responsible for photographing First Lady Michelle Obama from 2013 to 2017. She is one of only a few female White House photographers in history and was the only woman photographer during her time in the Obama White House. Amanda attended Indiana University of Pennsylvania, where she studied communications media and journalism; she also studied photography at the Art Institute of Philadelphia. Amanda’s work has been honored by Pictures of the Year International, National Press Photographers Association Best of Photojournalism, and the White House News Photographers Association, among others. 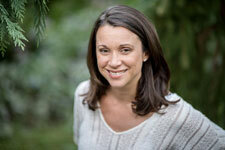 She is currently a photographer, filmmaker, and public speaker based in Washington, D.C.